At Van Products, we are dedicated to serving our North Carolina residents by making mobility easier and more accessible than ever. We offer new and used wheelchair vans in NC, manufactured by Chrysler, Toyota and Honda. Each of our handicap vans can be modified to suit your unique mobility needs. For more information on any of these brands, hover over the name and click on the “More Information” button. You can also click the "Browse" buttons below to look through any of our new or used vans for wheelchairs in NC. Whether you are in need of a wheelchair van for personal, professional or commercial use, the mobility experts at Van Products are here to help guide you through the process of choosing the best wheelchair accessible van for you. We are your one-stop wheelchair van and mobility dealership, with two physical locations in the Raleigh and Wilmington areas of North Carolina. While there may be other used handicap van sales companies in the area or online, Van Products has a lot more vehicles, which gives you more options and choices in color, entry, features and other customizations to get the handicap van that is JUST right for you! Van Products makes getting into and out of your handicap van easier with more entry options than ever. From specific accessibility features to other types of customized options, our certified technicians can customize your van to suit your mobility needs. At Van Products, we have our own parts department - meaning that if you ever need accessibility parts (or other specific parts) for your vehicle, we’ll get the issue fixed right here and quickly. We carry most parts and/or can have items in stock the same day. If you choose not to buy from Van Products, you could be waiting days or weeks for a part to ship in - all the while not being able to use your vehicle the way you want. 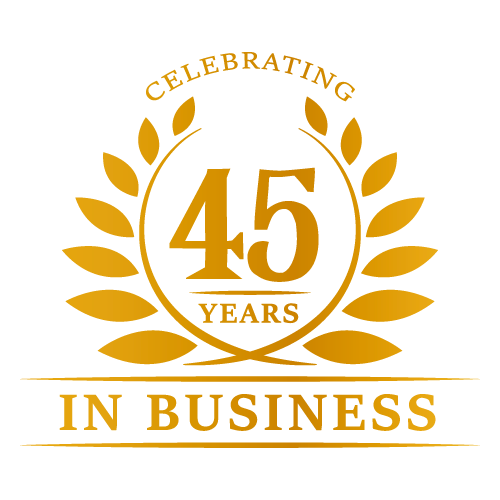 Unlike other competitors, Van Products employs certified, trained technicians in house, local and on location. Have confidence that your vehicle and your safety are in good hands! 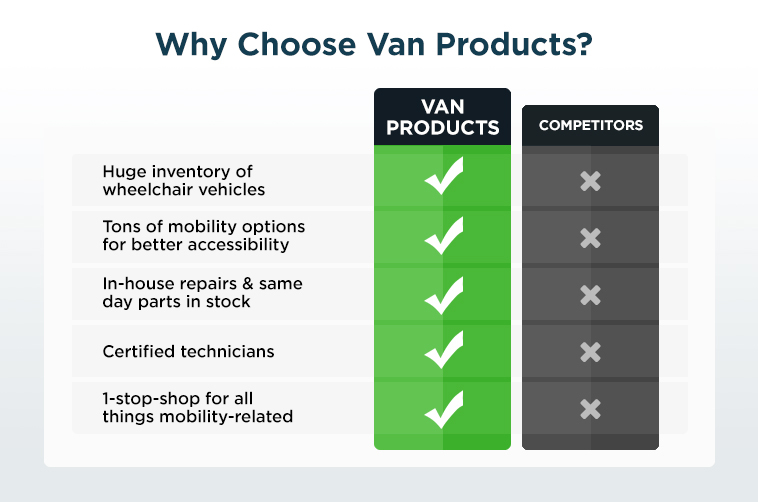 Regardless of your mobility needs, Van Products has you covered. We are a one-stop-shop for everything related to vehicles, including handicap van rentals if needed to ensure you have your freedom of mobility at all times. In addition to vehicles, Van Products has you covered - from handicap chairs to scooters, to ramps and stairlifts - we have everything you need for better mobility all in one place. Have additional questions about our new or used handicap accessible vehicles? Interested in learning more about any of our mobility products, services or wheelchair van inventory?